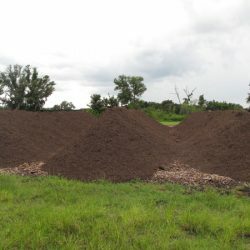 The Modified Static Aerobic Pile (MSAP®) composting method can be implemented to provide an environmentally sound and less labor-intensive means of effectively converting organic waste streams into stabilized high-quality compost. 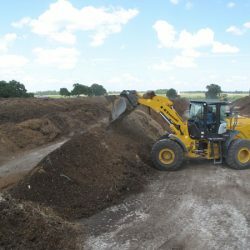 The MSAP process is a combination of both static pile and windrow composting techniques. 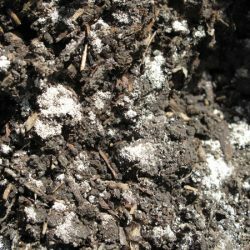 When the Harvest Quest inoculant is added, it initiates a unique phenomenon that reverses normal composting physics. Instead of the pile heating up in the middle, it heats up on the outer edges first. 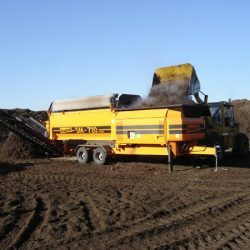 A conventional compost pile (or windrow) typically generates heat at its core, which quickly depletes oxygen. To avoid anaerobic conditions the pile must be turned frequently. In complete contrast, the proprietary combination of microbes in the Harvest Quest inoculant rapidly multiply, initially populating the outer edges of a windrow just beneath the surface before working their way toward the center. 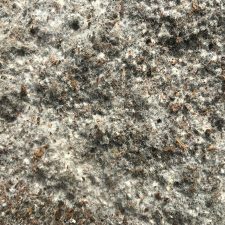 This microbial movement breaks down the pile from the outside in, enhances the pile’s natural chimney-effect and enables aerobic conditions to be maintained without frequent turning. 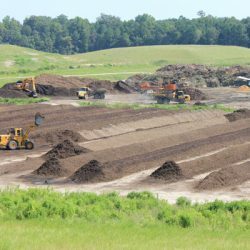 Feedstocks to be composted should be mixed thoroughly. 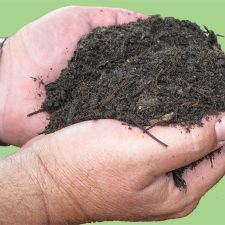 The basic principles of composting must still be followed with regard to moisture content and carbon:nitrogen ratios. Blended materials are placed to form windrows approximately 7-8 feet high by 18-20 feet wide. There is no limit on windrow length. Harvest Quest inoculant is placed on the surface of the windrow in 2-3 locations. These areas of concentrated microbes do not have to be mixed into the windrow. 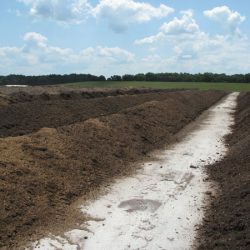 A 9-12 inch covering of suitable capping material (such as unscreened compost or overs) insulates the pile, deters vectors and provides an instant biofilter. The windrow should remain undisturbed now for a 30-day period. The microbes will multiply and rapidly move horizontally outwards, then move inwards towards the center of the pile. 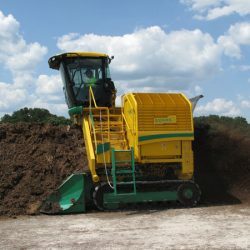 By NOT turning, high bacteria densities are maintained which increases composting efficiency. 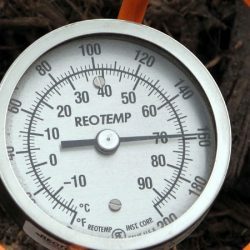 Temperature and moisture should be monitored to ensure optimum conditions. After roughly 30 days, your windrow is ready to be turned the first time. Turning will reduce compaction (caused by natural settlement) and redistribute moisture. Fourteen days later (which should be about day 45), a second turn will again redistribute moisture and begin conditioning the organic material for effective screening. The completed windrows are screened to separate the fine particles (which is your finished compost) from the oversized wood residuals (overs), resulting in a very attractive, high-quality product. 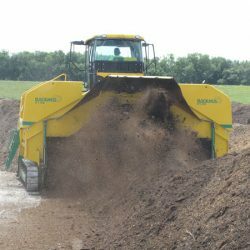 The MSAP method creates a very mature and biologically diverse compost with many competitive benefits including enhanced nutrient cycling, better plant health and natural disease suppression.